AIB is one of our largest pillar banks here in Dublin who are looking for a UI/UX Designer to join their team in their Central Park office in Leopardstown. The role will be offered as a six month contract initially with high possibility of extension thereafter. We are seeking individuals who have a keen interest in pursuing a career developing customer centric solutions. You will be working in an agile team environment where you will be involved in the design and execution of web and mobile products. You will be working on business critical applications, supported by a team of technical experts. You will primarily be responsible for maintaining a consistent user experience across our applications and UI Frameworks. Ensuring robust, modern design practices and methodologies are implemented. Initiating, suggest and spearhead UX improvements. Design user-journey storyboards, wireframes and conducting user research. Knowledge of latest web and mobile technologies, web accessibility, UI Design principles and patterns & Graphic design. You will be rewarded a competitive day rate and the opportunity to gain exposure in one of our largest reputable financial institutions; working with new and emerging technology. If you're interested in this role, click 'apply now' to forward an up-to-date copy of your CV, or call us now on 015710015. 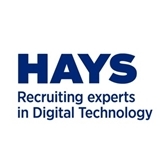 Hays Specialist Recruitment Limited is working in partnership with AIB to manage the recruitment of this position.